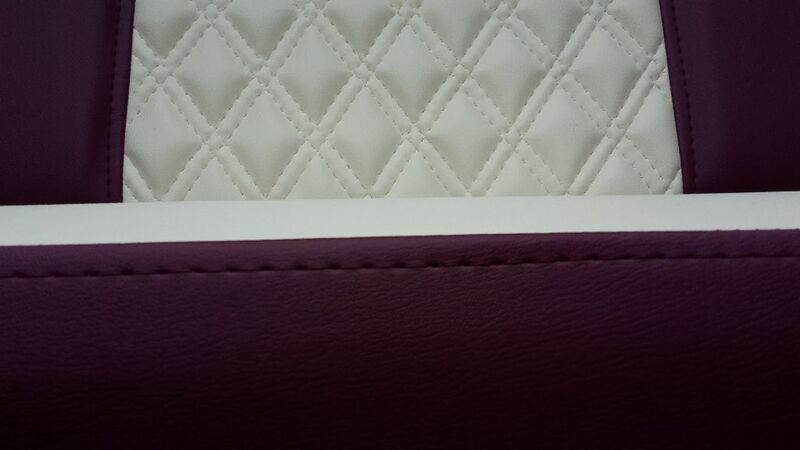 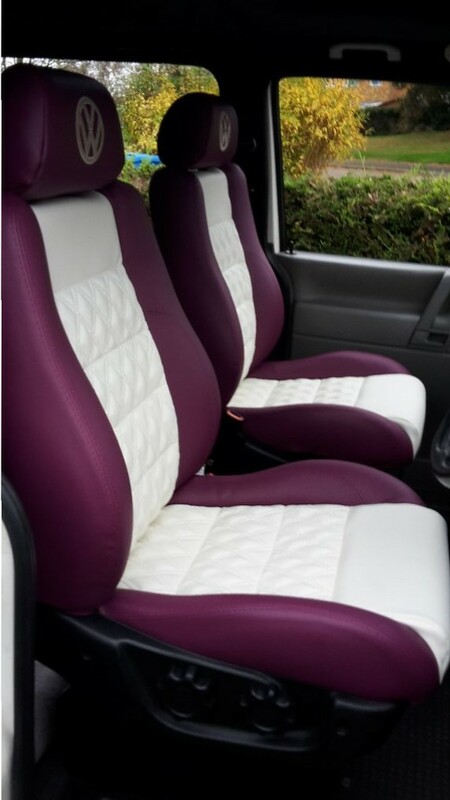 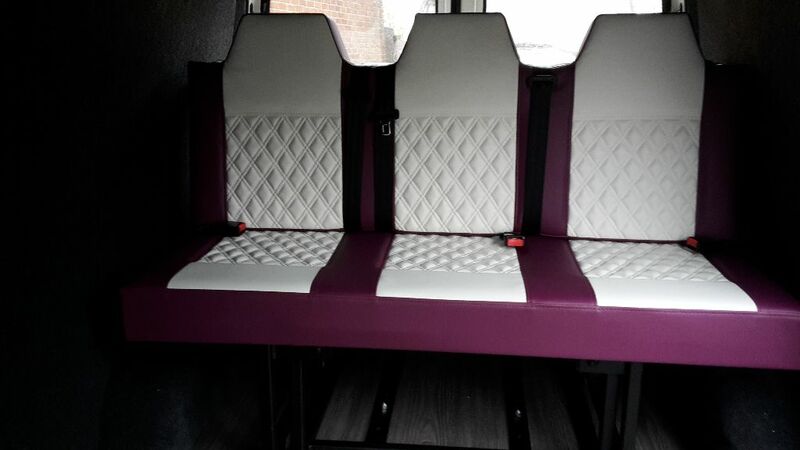 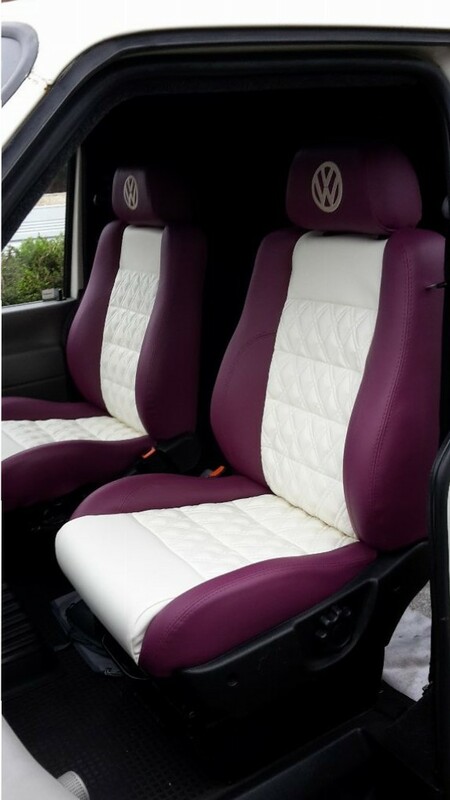 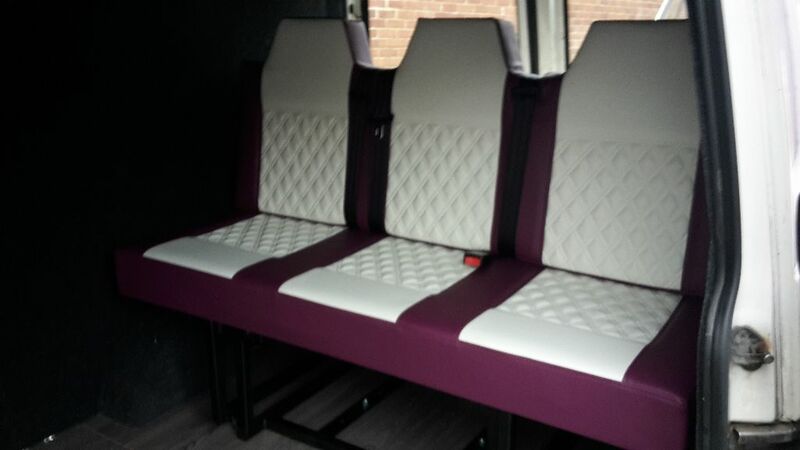 These lovely upholstered seats are covered in an automotive leatherette, in cream and burgundy colour, the burgundy is called Grape. 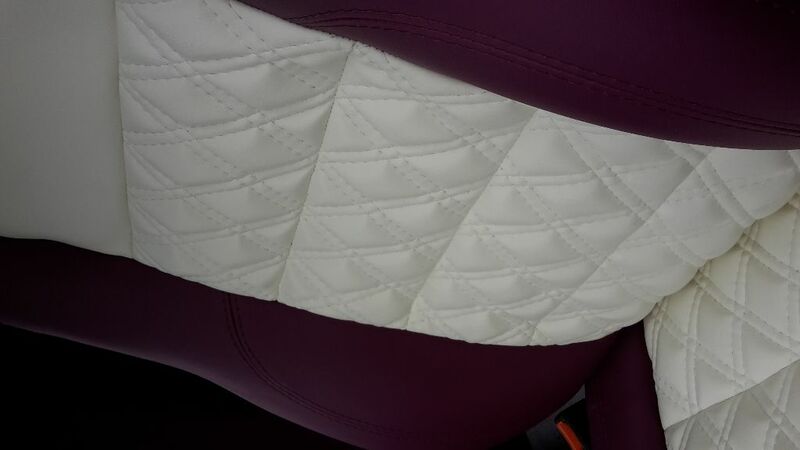 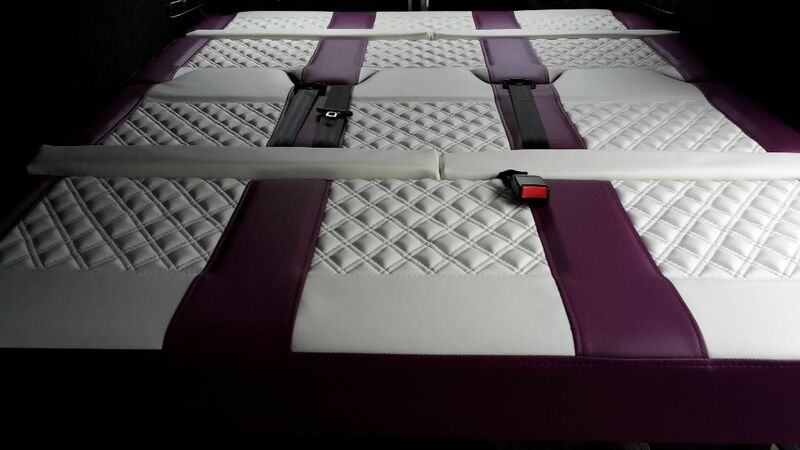 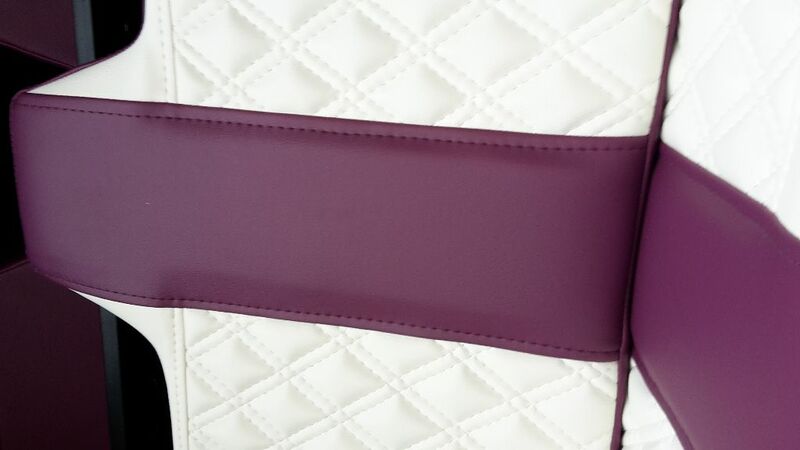 We think these two coloured fabrics make a wonderful combination, the centre seat panels have a raised Bentley style stitching. 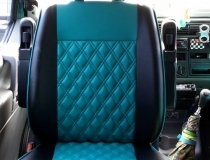 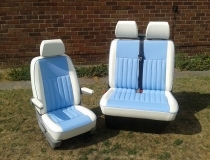 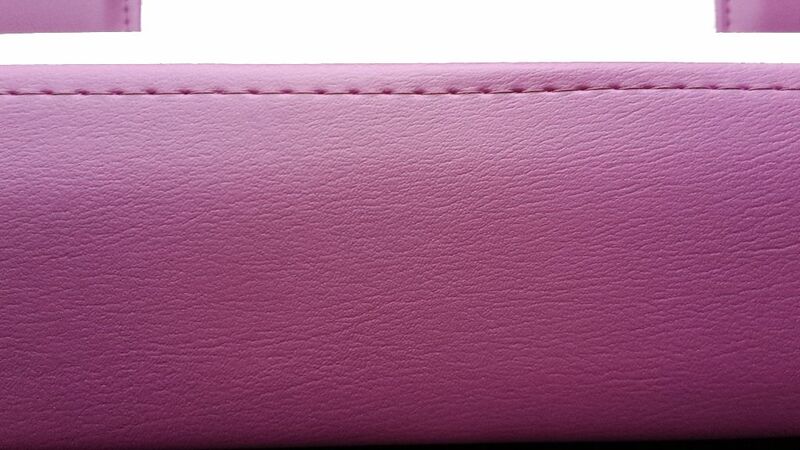 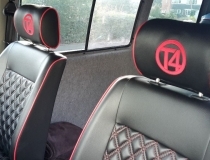 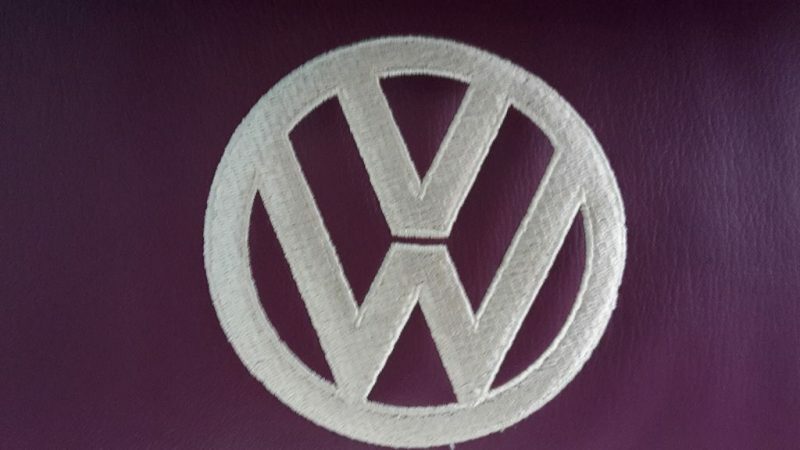 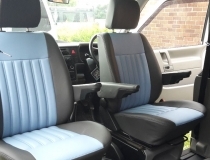 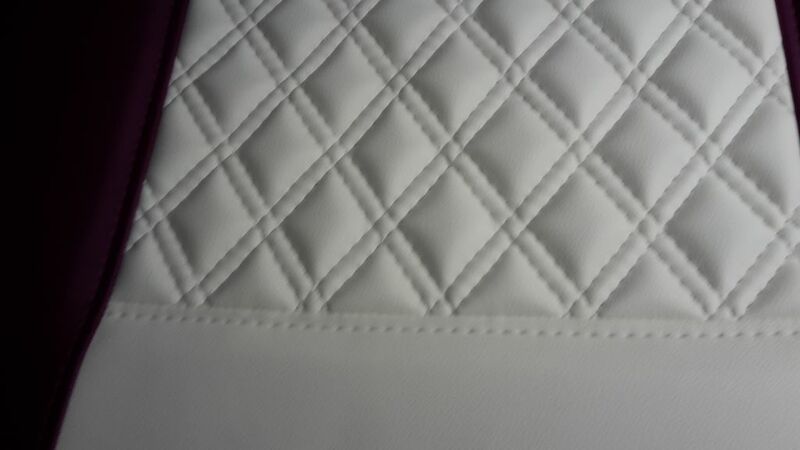 The seats also have Cream Embroidered VW logos in each of the headrests.